While many people may have an idea for how to start their own business, getting the necessary funding may be difficult at best. What many people fail to realize is the many different ways there are to secure funding for a startup business. If you meet certain criteria, you can make the process a little easier and get funded more quickly. A way to reach a variety of people online, crowdfunding has become a popular option for funding a business idea. By using such websites as Kickstarter, people can read about your business idea and donate money to it simply because they like what they see. Many businesses have been able to raise thousands of dollars with this method, so it’s an option that’s definitely worth exploring. New business owners might overlook the numerous grants available to help get the money needed to make their dreams become reality. Businesses that focus on technology, medicine, education, and social services tend to have the most grants available to them, and there are more than 1,000 different grants available from the federal government alone. Online directories are available for searching grant possibilities, making this option well worth the effort. An option for those who have excellent credit or enough collateral to put up that will lessen the risk of the bank, loans can be a way to get the necessary financing to start a business. For those who own their homes, a home loan can be a way to raise high amounts of money quickly and easily. Talk to a mortgage agent in Houston at Sente Mortgage about how you might refinance or what you might need to do to qualify for a home loan. Becoming a more popular option for future business owners, angel investors are almost always available in metropolitan areas. Most of these individuals are willing to invest up to one million dollars in a business in exchange for a percentage of the profits. So if you have big plans for your business, these investors can make them happen. Make sure you have a strong pitch to sell your point to them. An often overlooked source of business financing, family and friends can be a primary source of funding for any startup businesses. Because they want to see the business be a huge success, they are often willing to offer substantial amounts of money and be flexible when it comes to repayment terms. By exploring these options, people who have dreams of starting their own business can find themselves with many financing options. While it can be difficult to get a business started, taking advantage of these options can go far toward seeing your dreams become reality. We all want to be successful. We want to succeed in our education, in our workplace, in our creativity. But if we are honest with ourselves, we probably hold on to certain habits that aren’t the healthiest for nurturing success. Here are 7 morning habits of some of the best business minds. Maybe, if you start making these your daily early routines as well, you will find more success in your life. You knew it would be here… Every successful individual wakes up early in the morning. Unless you already consider yourself an early bird, you’ll need to work your way up to being one; start by waking up thirty minutes earlier than you normally do. Successful individuals typically wake up as early as 4:30 and 5am every morning.  Habit says “check your email right now!” But the successful tend to wait on this. Don’t start your day bogged down by emails. Clear your head for yourself first, let business wait for a bit. That way you will approach the demands on your terms as opposed to trying to create your schedule around the directions of others. Many successful individuals meditate, or make coffee, or journal in the early morning. Take time to clear your head. Think about yourself. Think about your family. Think about your life goals. Ask yourself, “what three things must I ABSOLUTELY get accomplished today?”. If you’re feeling overwhelmed, decide that you will only focus on these three things today. Staying fit is important for your health, but burning off a few calories early in the morning kick starts your energy. Exercise wakes you up and makes you ready to head right into your day. They always say breakfast is the most important meal of the day! Successful business minds take the time to eat a healthy breakfast before going into their workday. It’s early, and successful people know that family time is important. Set aside time in the morning while you’re awake and your mind is clear to speak and bond with your family members. Help your children get ready for school. Clean up after breakfast with your partner. Remember no matter what, family is always the most important. Successful minds don’t walk into the office and try to tackle everything at once. Before you leave your home, consider which tasks you want to complete, and in which order. Always start with the hardest task first. Take on the hardest task and you’ll have the energy to get it done. Which of these habits do you already use personally? Which do you want to start implementing in your own life right away? And which do you think would be the hardest for you to implement and why? To attract customers, you have to set your business apart from all others in your industry. You can accomplish this by making your products or services spectacular, but attractive offerings only make up one part of the equation. You also have to make your clientele feel welcome by providing better customer service. Look through the tips below to improve your customer service skills and your employees’ skills as well. Together, you and your staff can transform your company into a business customers adore. Every modern company needs an online presence. But you can’t just stop at a website. You also have to give customers a way to interact with your business over the Internet. Your online customers likely have more questions than people who visit your store, so use a service like Enterprise instant messaging (preferably on your website) and social media platforms to give your clientele someone to contact. You don’t have to have a presence on every social media website, but make sure you at least use Facebook, Twitter, and LinkedIn. Hire a team or a third-party partner to handle these online interactions for you. Make sure they are trained to know how to handle all questions they might encounter. When business gets slow, you and your employees might feel tempted to chat, watch movies, play games, or do things that distract you from the storefront or the sales floor. But you cannot give in to this temptation. Have your employees on alert at all times so they can welcome customers to your business and ask them if they need assistance. You’ll likely have fewer frustrated shoppers with this strategy. Even if a customer looks like they simply want to browse, your employees should still greet them and ask if they can be of assistance. A smile and greeting show customers you care about their opinion, and they’ll more likely turn into repeat customers as a result. Additionally, if you ask every customer if he or she needs help, no shopper will leave dissatisfied. You’ll likely see a few angry customers from time to time. They may have had a bad day, or maybe had a bad experience with a product or service. But not matter what they say or do, you have to treat them with respect. Teach your employees to exercise patience and understanding. Teach them to smile and stay calm and courteous in the face of anger. When your employees treat your clientele with respect, they can resolve many emotional problems. And even if they can’t fix problems, they can at least avoid making them worse. Sometimes customers feel frustrated because they ask the staff questions and get lackluster answers. Train each of your employees on every aspect of your business so they can answer every question thoroughly. Customer service plays an important role in your business’s success. Boost your company’s ratings and revenue by implementing the tips in this list. It’s that time of year again where you wish you would have done a better job preparing for the annual Halloween Office Party. Nothing like some SFW (suitable for work) office fun to change things up a bit for the sake of office morale. For those of you who are on top of your game and bought your costume last month… or several months ago, go you! But if you’re a little behind and still wondering about your costume, we’ve decided to go to the experts to help you find the best SFW (safe for work) costume ideas. Obviously the best advice for SFW costumes would come from the office itself. Jim and Pam always have the best subtle, but cool looks. 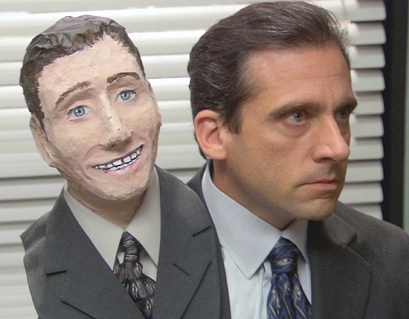 And if you’re looking for something a little more on the creepy, but creative side, you’ve always got Dwight to look up to. 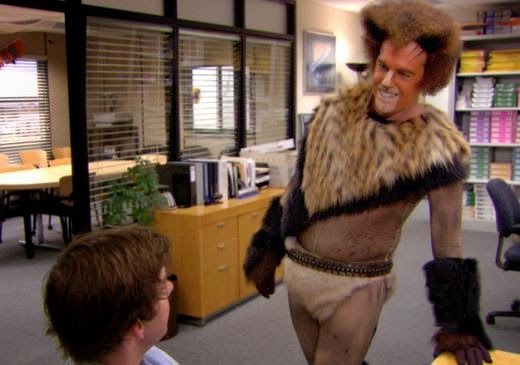 Without further ado, here are the best SFW costumes directly from The Office! He wrote book on his face. Get it?! Classic Jim. Because family style costumes are always a hit at the office, and what’s more SFW than Popeye and the gang? The answer: nothing. Toby makes the best hobo. Just so you know, a hobo costume is always a great idea. 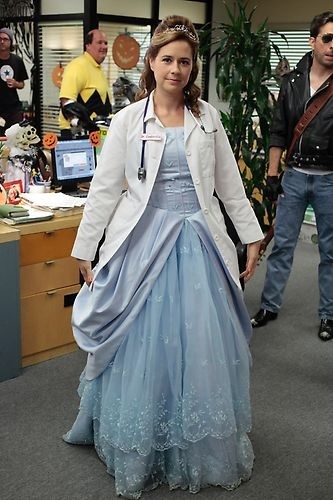 If you’re creative, you can totally pull of Dr. Cinderella like Pam. Or you can try something different… like Nurse Rapunzel. Halloween is the time to transform yourself into whatever you want for a day, so why not have a second head? I mean, Michael Scott did it. You may love Halloween, and you may love Cats, but you will never love either as much as Andy Bernard loves them. What are you planning on wearing for Halloween? Hopefully, whatever you choose, it’s as SFW as The Office employee’s costumes! And if you REALLY want to spook your employees out, tell them you are going be going back to a manual and analog employee scheduling system! Thankfully, the scare won’t last long since you’re more than likely using our digital shift management system “What Time Do I Work”.